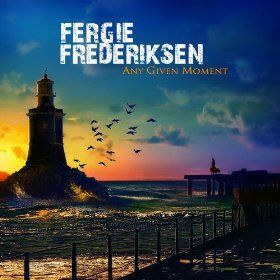 FERGIE FREDRIKSEN [ex-TOTO] - ANY GIVEN MOMENT (CD) | Online Shop | Wizard LTD. Album: "ANY GIVEN MOMENT (CD)"
After surviving a diagnosis of inoperable liver cancer in 2010, also thanks to the work that he put into the album “Happiness Is The Road”, American singer Dennis “Fergie” Frederiksen has been busy re-establishing his confidence in his solo career. The excellent reviews surrounding the release of his latest album (with UK’s leading AOR magazine Fireworks calling it “Quite stunning !”) rebuilt Fergie’s trust in himself and therefore pretty soon another new album was in the works. This time, Fergie collaborated with Italian producer Alessandro Del Vecchio and with the help of his songwriting, along with contributions from such musicians as Bruce Gaitsch (Richard Marx) and Robert Sall (Work of Art, W.E.T.) on guitars among others, Fergie put his mark on another true Melodic Rock gem of an album! Some special surprises are also included such as the superb duet with Issa on “Not Alone” and a brand new version of Toto’s classic song “Angel Don’t Cry” originally included on the “Isolation” album. Dennis “Fergie” Frederiksen is mostly known for being the former vocalist of TOTO (on the “Isolation” album, released in 1984), he has been involved in a lot of other outstanding musical projects too. Trillion, LeRoux, Frederiksen/Philips, Mecca, Frederiksen/Denander and David London (solo album, under pseudonym) are simply a few worthy of mention. In 1999 he debuted as a solo artist with “Equilibrium”, an album which garnered great reviews in Europe and Japan and since then he has been offering quality Melodic Rock music to his legion of fans. Produced by Alessandro Del Vecchio.